JORGE MARTINEZ & MARIA CATALAN are world champions and incredible performers and teachers from Mexico. Check out their credentials below then come see them in person, they are sure to inspire your dancing to another level! Director of the world famous Euphoria Dance Company, JOSE “La Salsa” DIAZ began his dancing career in 2006 under the direct supervision of Osmar Perrones, director of Yamulee Dance Company. He trained diligently and in August 2006 he did his first performance with Bajari de Yamulee. A year and a half later Osmar invited Jose to become part of Yamulee’s professional team. Jose debut as a member of the professional team at the 2008 Salsa Congress in Munich, Germany. He has traveled both Nationally and International performing with Yamulee Dance Company and has participated and assisted in teaching workshops in Los Angeles, San Francisco, Boston, Las Vegas, Montreal, Toronto, Sweden, Holland, London, England, Milano, France, Chile, Peru, Zurich, Venezuela andh Spain just to name a few. When not traveling he served as an instructor at Yamulee Dance Studio as well as dance instructor at a local Elementary school in the Bronx. Jose launched his professional solo dance career in December 2011 and has teamed up with NEREA PEREZ of Milan Italy to begin the next phase and journey in his salsa endeavors. ALEX LEE is a 22 year Fulltime Fire Captain with the city of San Jose, Father of 3, and professional salsa dancer since 2003. He was trained by Ava Apple and Luis Rosa who were specialists in mixing acrobatics in with their core of on 1 salsa. Over the years Alex won several major competitions, including 1 world championship. KIM NODORA is a mother of 3 and a soon to be registered nurse. She was also trained by Ava Apple. She began dancing salsa professionally with Alex in 2005. Together, they have travelled the world performing their own brand of lifts and tricks that focus on speed, elevation, timing, and danger. Their focus has always been their audience, for it is they that matters the most in a performance, and it is the crowd that drives their passion to be onstage. The two of them retired in 2009 to focus on their families. After 8 years of getting lazy, overweight, and out of shape, they decided to give it one more shot. In 2017 they got back in the studio and started to train. After one year of nothing but rehearsals, sweat, and being old – they made it back on stage. Now they’re back and stronger than ever. Even though their combined age is in the low 90’s, they continue to defy time by flying higher and faster than ever. One of the most recognised Salsa Choreographers in Chile right now, GONZALO RIQUELME began his career as a professional salsa dancer in 2015 (Cuban and New York Style), where he has excelled as a male soloist while collaborating with professional teams and other professional dancers. He has participated in a number of congresses and championships around the world, including Chile, Argentina, Peru, Panama, Cuba, The USA and Italy with his last competition being World Salsa Summit 2019 in Miami, where he collaborated with the professional team “La Casa Del Mamba”, representing Chile and winning 3rd place in the competition. 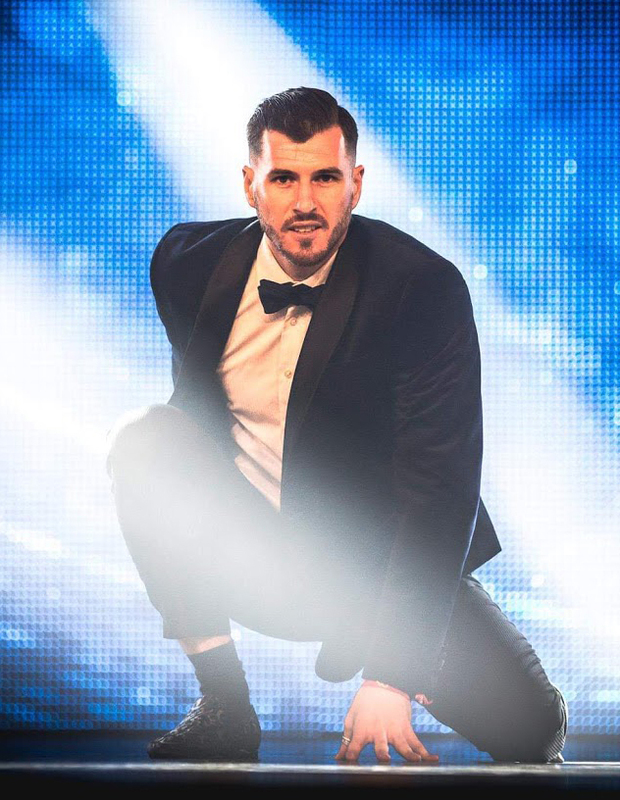 He is the current 1st Place Professional Male Soloist Champion at the South American Championships held during the International Chile Salsa Congress, winning the title in 2018. Gonzalo is the founding direction of “Danzón Studio Latin Dance Academy” in Santiago, Chile. He comes to New Zealand for the first time to share his knowledge in Salsa Choreography and Social Dance, with a technique developed through discipline and study with the best artists around the world such as Fernando Sosa, Adolfo Idacochea, Leonardo Martinez and Franklin Diaz among others. SARA NICOLE is extremely passionate about all styles under the Kizomba umbrella incl. Kizomba, Semba, Urban and Fusion and has been avidly sharing this love around the local and national community for the past 6 years. Sara is continuously developing and refining curriculum, teaching, choreographing and training performance teams, alongside facilitating regular socials and practicas for the wider dance community. 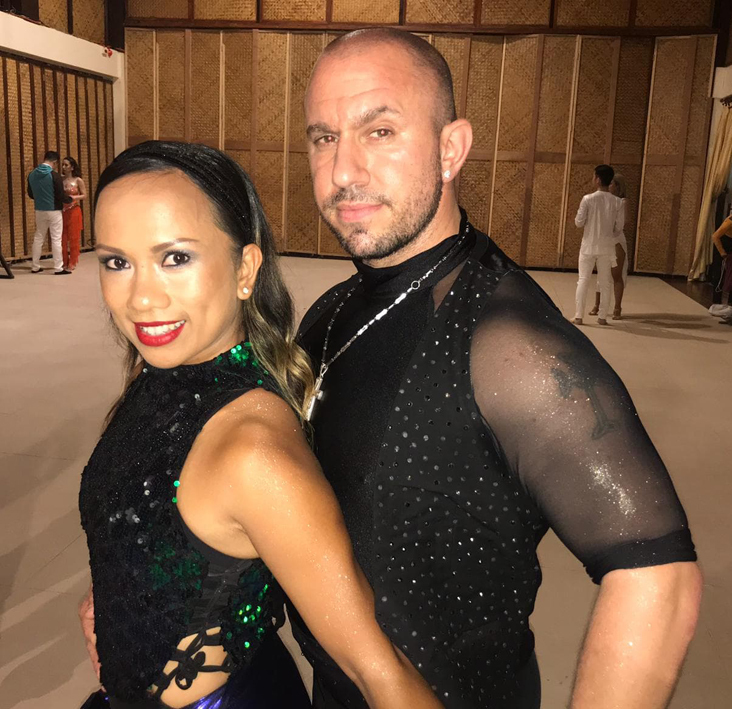 Sara started her dance journey training under the instruction Kadu Pires, Larissa Thayane & Tarciso Tiatini-Climaco at Rio Rhythmics and later joining the teaching team at K&L Dance. Sara has been touching the hearts of students, international artists and organisers alike, at a number of well-established festivals around Australia and Australasian countries, such as Whitsunday Latin Festival, Australian Kizomba Festival, AWAKE and I’m Your DJ, Kuala Lumpur, with admirable feedback in relation to her workshops, performances alongside her former dance partner Luke Jorgensen. Sara has also assisted Albir Rojas, Kristofer Mencack, Vasco Moestus, Lucia Nogueira, Azzedine and Audi MPK at various events and has successfully facilitated World Team Projects for Sara Lopez and Carolina Kizomba. Sara now choreographs and manages her own ladies team for Urban Kiz. She is also trained in Brazilian Zouk, Samba de Gafieira & is working towards two more professional competition pieces in Argentinean Tango, after placing 1st at the World Salsa Solo in 2015. Sara is now a key member in a community brand ‘BrisKiz’ with plans to expand Kizomba & Urban Kiz focusing on collaboration and harmony within the local scene. BrisKiz is the platform to collaborate with quality venues, employ professionally trained DJ’s and facilitate fantastic teachers to share their knowledge building the reputation of quality dancers with respect. Sara has also recently joined the Paradizo School of Latin Dance teaching team alongside Manuel Cassotti and has recently founded Kizomba Riviera Australia alongside Chris Py. CHRIS PY is well established in the world of Kizomba and African dance. Originally from France, with his roots from Cape Verde he has been exposed to the culture of dance and music since he was born. As a World Champion of the prestigious competition Africadançar in 2014, Chris Py has become a reference in Kizomba for his sensual and technical dance, mixing traditions and new styles. He is extremely well known for choreographing shows of high creativity and artistic quality, in both duo or performance teams. After 8 years in the south of France, working daily to develop Kizomba and Semba with his successful dance school – Kizomba Riviera , today, the dancer has set his bags in Brisbane, Australia. His motivation is to develop his creativity, his dance, his choreography in a new community to allow access & exposure to the industry experienced he holds. Chris Py has recently collaborated with Sara Nicole to create a second dance school ‘Kizomba Riveira Australia’ in Brisbane, Australia. JAI SHEFFIELD is a professional Latin dancer from the Gold Coast, trained under Csaba and more recently Fernando and Adolfo in Italy. Jai has recently been travelling around Europe to train, perform and teach for the last 11 months, also competed and won a competition with his solo, and attended the World Salsa Summit in Miami to complete his judges certification. Jai is an Australian champion in salsa bachata and cha cha and came 3rd at worlds in Cha Cha. He also teaches salsa mambo, bachata and Cha cha and specialises in teaching connection and lead an follow techniques. Jai is very passionate about social dancing and concentrates on musicality and connection a lot in his classes. ELYSIA BAKER is the current Australian Salsa & Latin Champion and ranked 2nd in the world in the professional Cha Cha at the World Salsa Summit, USA. A former ballet dancer, Elysia transitioned into the Salsa industry over 10 years ago where she has worked her way up to be recognised as one of the industry’s most respected artists. She is the director of Melbourne dance school La Encantada Collective, home of all female Latin dance company La Encantada. She travels frequently to continue learning from some of the industry’s icons, along with competing, performing and teaching at events both nationally and around the world. Elysia’s wealth of dance knowledge and training in a variety of dance styles (including Mambo, Cha Cha, Ballet, Contemporary and more) lends itself to well-rounded training techniques. Her dance travel lifestyle gives her fresh insight into the ever-evolving world of dance, which she brings back to infuse into her own teaching and training techniques. Elysia’s beautiful personality combined with her dynamic choreography, power, body movement and flexibility, forges together to create exciting shows and insightful and fun dance classes. ARTIA ZANDIAN was a hit the first time he came to Congress a few years ago, he has since won a world title, multiple Australian titles and in 2018 spent months training with the best of the best in Milan. We are excited to have him back in New Zealand this time with the amazing MADALYN MILAZZO. BRUNO FERREIRA is a professional choreographer, stage performer and dance instructor, with over 27 years of experience in dance and performing arts. Born in Belo Horizonte, Brazil, and immersed in the colourful, rhythmic culture, Bruno grew up with a keen interest in dance. At the age of 14 he joined Mimulus Dance School. Having a natural talent for dance, Bruno very quickly fell in love with it and knew that he wanted to pursue it professionally. Mimulus Dance Company is one of the most renowned Latin Dance companies in Brazil. 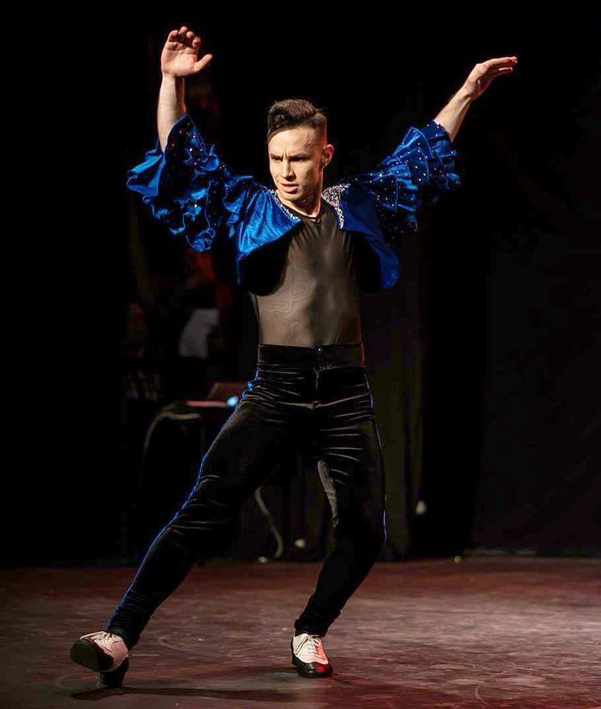 Within, a year of being a student with Mimulus, Bruno was performing in the Mimulus Dance Company amateur group and by the age of 18 was teaching a wide variety of dance styles. A few years later Bruno received his professional registration and began teaching, performing, choreographing, and directing in a professional capacity. Over the 20 years dancing for Mimulus Dance Company, Bruno acquired distinguished talent in all popular Brazilian and Latin dance styles including: Samba no pe, Samba de Gafieira, Bolero, Soltinho, Tango, Cuban Salsa, Forro, Brazilian Zouk, Milonga, Lindy Hop, Waltz, Tango Waltz, Bachata and Merengue. He also had the opportunity to travel the world and perform with the company in numerous theatres, festivals, congresses and workshops across South America, The United States, Canada, and Europe. During this time, Bruno was awarded best male dancer of 2004 and 2010 by SESC-SATED/MG (The Syndicate of Artists and Technicians in Minas Gerais), best male dancer of 2004 by USIMINAS- SINPARC/MG (Syndicate of Producers of Performing Arts in Minas Gerais), and Nominated as one of the ‘Top 3 most influential dancers of the decade’ by SESC-SATED/MG in 2007. During this time, Bruno also completed a Bachelor of Physical Education and a Masters(POS GRADUATION) in Dance Pedagogy. This enabled him to further develop his knowledge of anatomy, physiology and biomechanics. This in-depth understanding of how the body works differentiates Bruno from other dance teachers who may have only danced socially but may have little understanding of movement. Rather than just teaching a sequence of moves, it allows Bruno to have a deep understanding of co-ordination, transference of weight, and connection with the floor and your partner- all essential for learning correct technique. Most importantly it helps Bruno to teach in the safest way possible, helping his students look after their body’s individual needs and limitations. Born and raised in Brazil – GABRIELA GUIMARAES is New Zealand’s Samba Queen and crowned Australasian Samba Champion. Gabi has the fire and the rhythm coursing through her veins, the passion for music, a positive energy for life and dance, the art of performance and a desire to be better than she was the day before that keeps her driven and excited about each day. Gabi started dancing Ballet at the age of 5. She then started folklore dancing at the age of 11 then growing up she became part of the professional performers the Roots of America Dance group in South Brazil. Parading, performing and always being involved at Carnaval in Brazil makes Gabi an authentic performer- she says that being able to spread the energy, the passion and the history of samba and her culture it is her biggest passion, loving to see how everyone enjoy and respect the Brazilian Culture around the world. Her talents extend to being choreographer and performer for The Brazilian divas samba Group in New Zealand and now having her own samba dance school SAMBA PASSION where she teaches male, female and kids. She is passionate for brazilian music not only talented with samba but also performs afro axe and Brazilian funk music. She is also a certified fitness and Zumba Instructor where she teaches around New Zealand, joining the convetion in Orlando always looking to learn new styles. Dancing and Brazilian music is in her DNA, she feels very fortunate and privileged to be able to share this passion with her students and the people who get to watch her perform. Leonardo Neves begun dancing at 8 years old as a part of an after school program, this is where his interest in Dance begun. Leonardo then spent 6 years attending various dance schools he studied Bolero, Soltinho, Samba and Forro. When he was 14 years old he went to Renata and Adilio’s Dance School, here he studied Zouk, and other Brazilian styles of dance for 7 Years. Over this time he performed with the company at different events including Congresses and at Theatres. He competed with various dance partners and won the 1st Place in the “Onda Zouk“ Competition. After some time he became the dance partner of Renata Pecanha, he traveled, taught and performed with her Nationally. From 2009 to 2012 he traveled both Nationally and Internationally teaching and performing these Choreography from small events to some of the biggest Congresses in the World. He is now a well known and recognized teacher by many people in the dance scene. At the beginning of 2013 Leonardo started his new career with Becky Neves, they have many exciting travels and congresses planned for the year, to share the love of dancing around the world. Becky began dancing in High School where she studied Dance as a Subject. She learnt to Choreograph, Document and Videograph different styles of dance. She then went into Latin American Dancing at Colleen Murray Dance Studio, during this time she studied a little of Samba, Jive, Cha Cha Cha, and Rumba in the Latin American Genre. She competed in local Dancesport competitions in her level and made a placing in every competition. Within 10 months of training she competed in one of the biggest dance competitions in New Zealand in 30 years the ISDF. The same day she was selected to go to Australia to dance on a television program called ‘Strictly Dancing’. After a few competitions and a few years she started dancing more of the Street Latin Styles with Latin Fire, with them she studied Salsa, Street Cha, Merengue and Bachata. She performed and competed with them for some years. 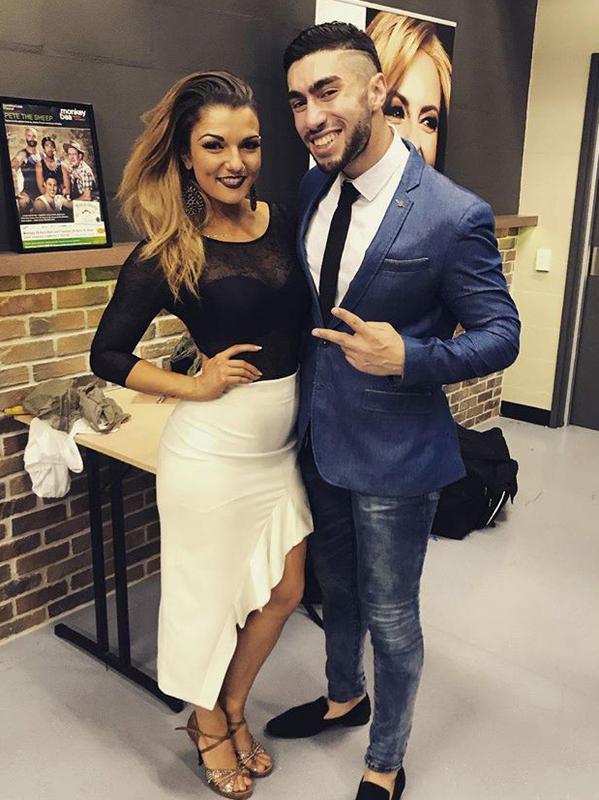 In this time she entered into the South Islands (Teachers Level), the Nationals (Professional level) and even started a Bachata Team which she trained and took to the New Zealand Pacific Salsa Congress. Her team was selected to Perform in Australia at the Sydney Salsa Congress. Becky then began her interest in Zouk and Samba and traveled to Brazil to expand her knowledge in these styles of dance. She taught on a Cruise ship event organized by ‘World Salsa Tours’. She has been training very hard since with Leonardo Neves. She is the Dance Partner of Leonardo who is an International Professional Artist who specializes in Brazilian Dance. Chloe began dancing Salsa at 15 and quickly became a leader and teacher to younger students in after school classes. In these early years she was selected to represent Nelson and New Zealand at various national and Australian events both in teams and as a solo dancer. 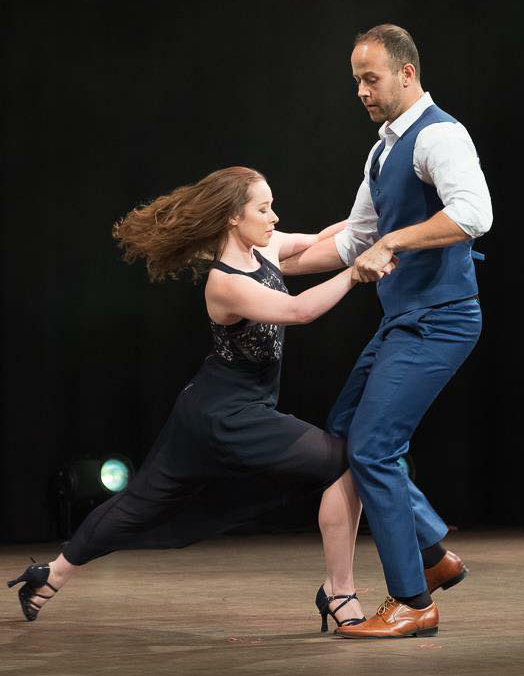 Since moving to Wellington in 2009 she began training and performing with the performance team Salsacalafragalistic founded by Jacob Rosevear and teaching for the well known local school, Salsa Magic – Latin Dance School. In 2012 she co-created the performance team The Clave Collective with Jacob Rosevear which grew to more than 30 members. The team forged a proud reputation of the highest standards on and off the dance floor. It’s members went on to perform and compete around the world winning numerous Salsa and other Latin dance titles. As Chloe’s passion for Salsa and street Latin dance grew, so did her hunger for knowledge and dance training. She has proudly worked personally with many Latin international artists in training and choreography including Serena Cuevas (USA), Elli Torres & Carlos Galliano (AUS), Gaby Equiz (MEX), Serigo Jasso (MEX) Mariano Nerris (USA), Sharon Parkir (AUS) and Greydis Montero Liranza (CUBA & NZ). After performing at the Los Angeles Latin Festival in 2016 she moved to Italy to study Salsa and other Latin styles full time with professionals including Fernando Sosa, Tatiana Bogurno, Adolfo Indacochea, Tania Canarsa and Jhesus Aponte among others. Chloe is currently residing in Hamburg Germany but continues to train as a solo dancer for competition and performance, she is also dancing with Mambo Magic, Adolfo Indacochea’s student team. She continues to work with Salsa Magic in Wellington choreographing routines and working with the teaching team over video. WIMMY WIMMY has been dancing since she was 6 years old and fell in love with partnered dance in 2013. She discovered Kizomba during her dance trip in Sydney and has gone through miles to learn from international Kizomba experts. She is a passionate instructor, always strives to teach the best techniques and explains them very thoroughly. BARI CHIN has been dancing since 2000 with experience in ballroom styles, capoeira, breakdancing, gymnastics and latin styles such as Cuban Salsa and Bachata. Bari has taken a focus on Kizomba & Salsa. After many years teaching some complex movements in break dancing, capoeira and gymnastic, Bari has a real talent in explaining the body movements in a variety. Even if you think you have two left feet you’ll come out loving Kizomba. 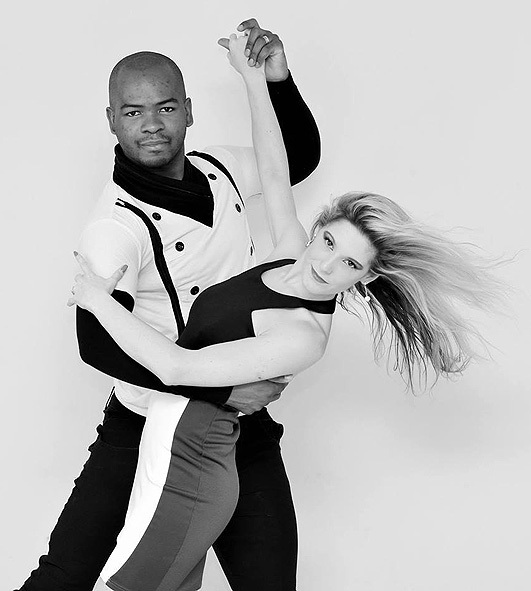 Together Bari & Wimmy run Wellington’s Danca, the home of Kizomba. REUBEN is the director/owner of ‘Salsa Latina’ Dance Centre in Christchurch. A New Zealand Professional Salsa Champion and a NZ & Australasian Judge for many Latin Dance Competitions. He runs many NZ and local regular events and festivals. In 2017 he was Awarded the ‘Latin Dance Industry Award’, for his contribution to the Latin dance community in New Zealand. Reuben originally started dancing Cuban/Miami style Salsa & Brazilian Samba/Axé & Lambada back in 1999, from there he has danced non stop for 20+ years and learnt from countless local and international teachers in NZ and overseas, constantly learning and upgrading skills which have developed a unique personal style. He’s had extensive teaching and performance experiences in many various Latin dance styles and has trained vast amounts of dancers. As a result, a number of them were kick-started into teaching and performing today. 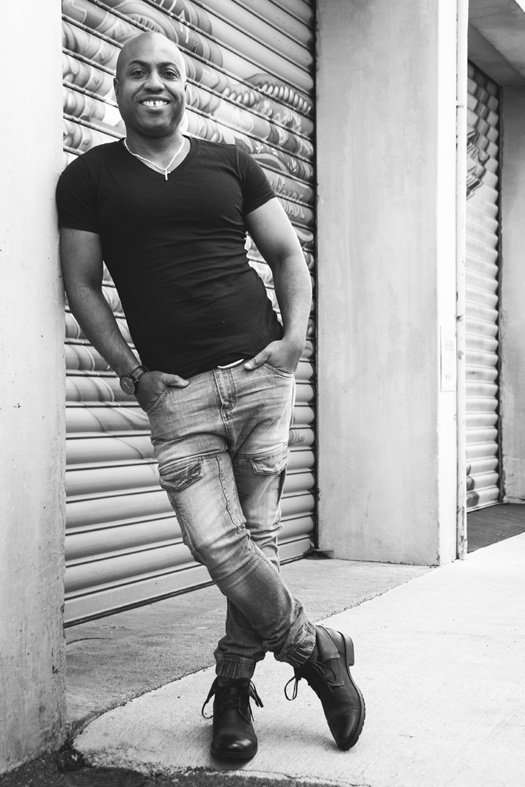 His true passion is for social dancing and favoured styles are Salsa, Mambo, Kizomba & Bachata and teaches all these styles currently. 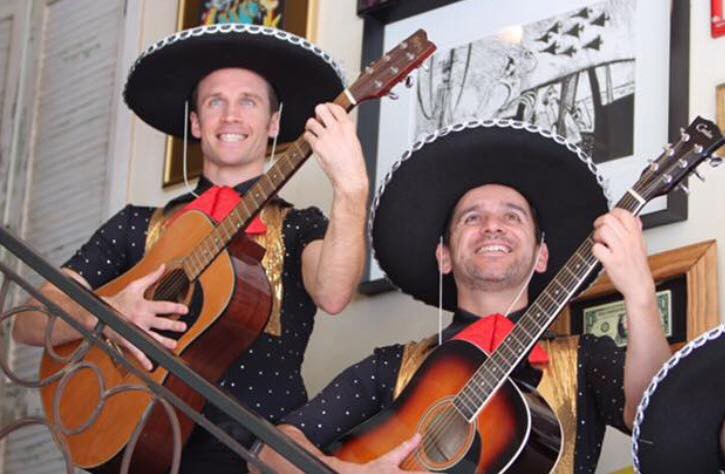 With his dance partners, teachers, dancers and teams have achieved many prestigious NZ & Aust Champion titles including NZ & Aust Salsa Team Salsa Champions on numerous occasions and too many other titles to list. Check out his full profile on his website (Google “Salsa Latina”). MARCELA is originally from Argentina & started dancing Tango since the age of 7. She was the first alongside Maria to teach Zumba in New Zealand. She dances, performs & teaches Salsa, Bachata & Tango. Dancing with Reuben Since 2011, they still teach and perform and together and have a NZ Salsa Professional Champion titles, performed in Sydney Salsa Congress on a few occasions with their teams and recently performed and won in the Salsa Team categories in the South Island & New Zealand Latin Dance Championships. Born in Cuba on the eve of Carnival, Rafael has dancing in his blood. From winning “best male performer” at his first international dance festival at age 10, he went on to compete and perform all over Cuba, including at the renowned Festival del Caribe in Santiago de Cuba and Teatro Nacional de Habana. Specialising in Afro-Cuban and Afro-Haitian dance, Rafael worked as a professional dancer and choreographer in Havana before moving to Wellington in 2005 and founding CubanFusion where he teaches everything Cuban… from Rumba to Cubatón, including Afro-Cuban Contemporary. A regular at congresses and festivals in New Zealand and Australia, Rafael is famous for his high energy and fun teaching style, dynamic performances and signature big smile. In addition to being a dancer and choreographer Rafael is a sought after singer and percussionist and performs in a wide range of bands, including his very own Afro-Cuban jazz band AfroKan. It’s this sound understanding of musicality that brings an added dimension to his teaching talent. Rafael looks forward to sharing his knowledge of and passion for Cuban dance with you at Congress this year.